Our family run organization offers a variety of services, all of which come with a free estimate. Our specialty is gel coating including fiberglass repair, oxidation, and scratch removal. 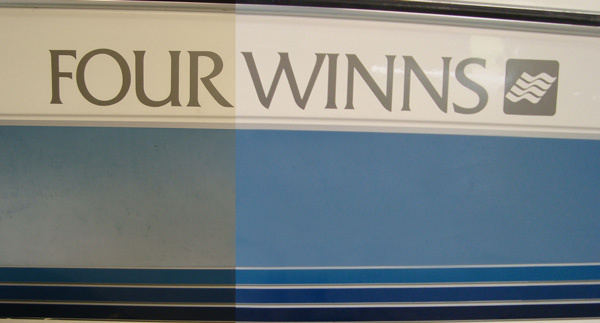 We can wash and wax your boat, remove scratches, repair gouges in fiberglass. Our process will significantly improve the overall appearance of your boat/personal watercraft returning it to like new condition. Boats Unlimited offers complete service and repair of the powertrain on your boat. We specialize in Mercury/Mercruiser and Volvo In-boards and sterndrive units. We perform complete inspections and provide repair recommendations as requested. We can repair or replace your inboard engine or sterndrive as needed. All repairs are performed by Certified Technicians and guarantee our work.